Official Selection at over 60 film festivals worldwide and winner of 27 awards including 'Best of Festival' and 'Best Cinematography' at Reel Earth Environmental Film Festival. The DVD is now available in New Zealand at the heavily discounted price of $NZ 22.95 with free New Zealand shipping! Click on the 'Buy Now' button below to pay by PayPal (for New Zealand deliveries only). 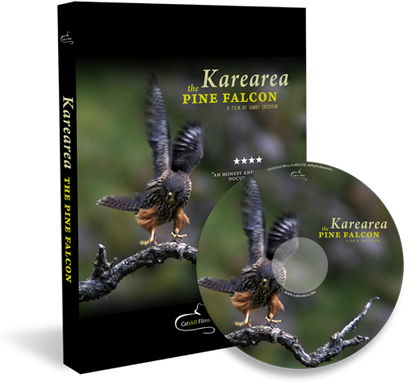 The DVD can also be purchased by contacting us direct at info@karearea.com or through our 'Product Page' on Facebook. If purchasing outside New Zealand the DVD is available through Createspace or Amazon. The film is also available to download or stream instantly through Amazon Instant Video.